A secret lies buried at the heart of her family—but it can’t stay hidden forever. Torn between loyalty to her family and dread of what she might find, Cara digs into the early years of her parents’ troubled marriage, hunting down long-lost relatives who might help unravel the mystery. But the picture that begins to emerge is not at all the one she’d expected—because as she soon discovers, lies have a habit of multiplying . . .
Revised edition: This edition of Postcards from a Stranger includes editorial revisions. Imogen Clark lives in Yorkshire, England with her husband and children. Her first burning ambition was to be a solicitor and so she read Law at Manchester University and then worked for many years at a commercial law firm. After leaving her legal career behind to care for her children, Imogen turned to her second love - books. She returned to university, studying part-time whilst the children were at school and was awarded a BA in English Literature with First Class Honours. Imogen loves sunshine, travel, the sea, bluebells and pancakes drizzled with maple syrup. She also writes books for young teenage girls under the pen name Lucinda Fox. This is a complex novel which explores family relationships across three generations and the effect of physical and emotional abuse on each generation. The story is told through different members of the family in different eras, but the main protagonist is a young woman who learns her family secrets and hence her past after her father sinks into a demented state. There are many layers in this book; the storyline is only one of them. How different family members cope with all the issues is pivotal to the story. There is no black white in the characters either. Each of them is a vehicle for exploring ideas about how multi-faceted life's challenges are. A book that will definitely have you thinking. 5.0 out of 5 starsWhat makes a mother leave her young children? Intriguing story about controlling and bullying men and the way they can destroy lives. Told through the eyes of Cara, the dutiful daughter and Annie the mother who left her family when Cara was only 2 years old. From the moment Cara finds the postcards I had to keep turning the pages to see what she would find out next. Beautifully told and engrossing story. 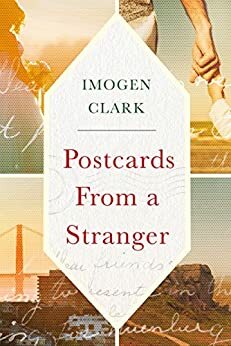 The postcards Cara finds hidden in the attic turn her world upside down and make her question everything she thought she knew. And so begins the exploration of what happens in her family from various points of view, across time. The approach of storyline snippets - almost like postcard pictures themselves - is addictive and I found myself warming to the characters the more I learned about them,; wanting to give them advice and feeling disappointed at their missteps. Life is rarely simple even for those who seem to have it under control - and my one disappointment is that we don't hear from the men whose actions have created such misery. Maybe that's for another book? 5.0 out of 5 starsDeep subjects written about well. I found this book a little hard to get into initially but once I sorted out who was who it really had me finding it difficult to put down. I thought the author did a great job at fleshing out the characters without making it all too onerous. I loved all the little surprises along he way. Eg. Annie having the affair and not Joe, and at the funeral when initially I thought Michael thought the carer was his mother but he was looking past her at his mother in the back ground. I admired Cara's tenacity to follow through in trying to unravel her family history. I felt very sad for her that she was robbed of her mother's love because her parents did not put her first before themselves in the decisions they made when she was two. Michael was a strong character, but was also compassionate and loving, especially towards Cara who he always tried to protect from the truth of what happened. I also liked the way Simeon was brought into the story in such an incidental way but was exactly the type of person Cara needed to help her heal and move on with her life. A great read that I will be recommending to friends. What a fantastic first book by this novelist! It's a cracking read, delving into family dynamics and the devastating effects that secrets and lies can have, rippling outwards and onwards.. It flows easily and keeps you engrossed and always wanting to know what happens next. I would highly recommend it and I can't wait to see what comes next. "As a mother of four children, I have to admit to having occasionally contemplated running away" I loved this quote from the author in her acknowledgements as I highly resonated with it. I found this book easy to read and believable. A lot less contrived and predictable than "The thing about Clare", which is the other book I've read by this author. "Postcards From A Stranger" takes a good look at human behaviour and the reasons behind our decisions, not just as mothers, but as humans navigating this world. The one issue I took was around the way the main character is semi-"saved" by a romantic relationship, but in a way its a releif after so many men of poor character throughout the book. On the whole I enjoyed the way the characters were a realistic balance of their issues and goodness, i.e. not purely good or bad but truly human. I'm giving it 5 stars for a work in this genre, although it's not my favourite book ever. A good story but a liitle difficult to believe a few of the reactions to some of the information that was uncovered. When she meets her Aunt both sides react in the extreme. Nevertheless it was an easy read and covered many flaws in our human behaviour.